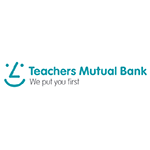 Over 12 months, Teachers Mutual Bank has delivered a national approach to improve workforce engagement through incentivising flexible working. By shifting their recruitment focus to employ remote workforces, split shifts and casual agents, agents can ‘try’ before committing and therefore create a workplace environment that suits their needs. This approach has helped the organisation to optimise productivity, improve capabilities with a range of customer channels and strategically plan for future workforce needs and changing customer contact roles.